consumer, medical, electronic parts and more. Lacerta Group, Inc. was founded more than two decades ago, in 1993, by Ali, his brother Mory and his cousin Mostafa (“the Moose”). From the beginning, the focus was clear: to offer high-quality, innovative thermoformed packaging solutions that were priced competitively in the marketplace. Since that time, Lacerta Group, Inc. has built its reputation based on product integrity, excellent customer service and above all, speed to market. We also pride ourselves on helping our customers respond quickly to changing customer demands and new packaging needs. 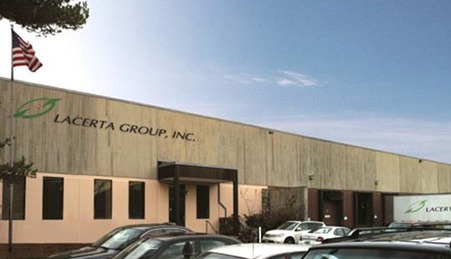 Headquartered in Mansfield, Massachusetts, Lacerta has three stateside facilities with over 250,000 square feet of manufacturing and warehousing space, plus a sister company in Toluca, Mexico. The growing Lacerta team has now reached 300 associates. We are committed to responding quickly to your needs and providing our customers with the highest-quality, lowest cost solutions. Plus, our in-house packaging experts oversee every stage of the process, from packaging design, to prototyping, to mold making, to final manufacturing. Additionally, we extrude and print plastic. Lacerta Group, Inc. is committed to reinvesting in in the latest thermoforming technology. Today we have nineteen state-of-the-art thermoformer lines, most of which are supported by robots.